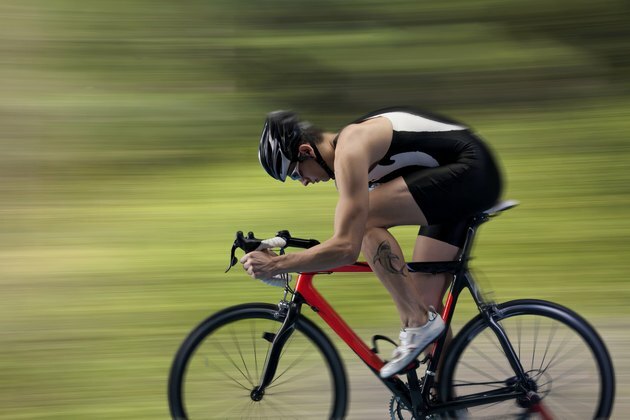 An 8-mile-per-hour pace on a road bike over relatively flat ground is a leisurely pace. At this rate, you'll burn 236 to 372 calories per hour, depending on your size. 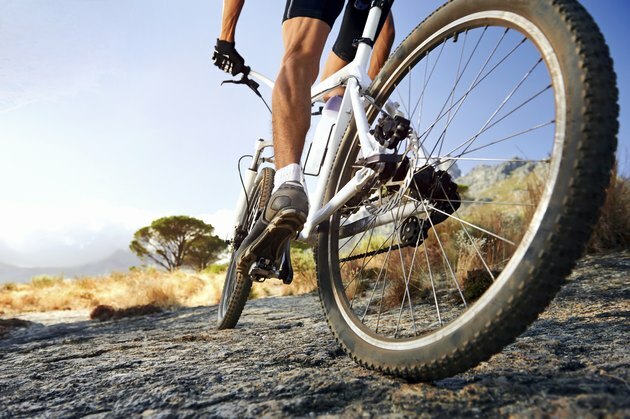 If you covered eight miles of mountainous terrain on a mountain bike, you'll burn more like 502 to 791 calories in the hour. A 130-pound person burns on the low end of the range of calories, while a 205-pound person burns in the higher range. 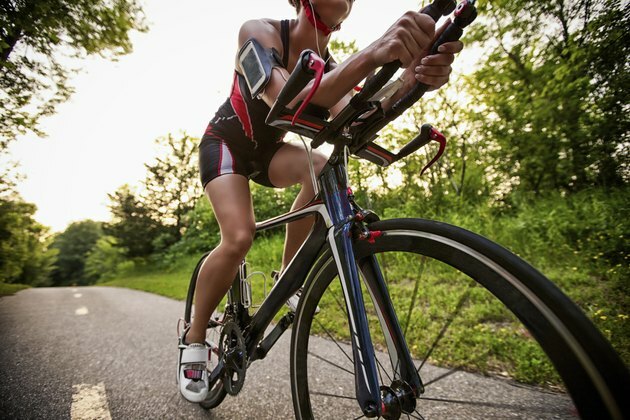 If you increase your speed just slightly and go 10 to 12 mph, you can burn 354 to 558 calories in the same hour. The nature of mountain biking terrain means you have to expend more energy climbing hills, jumping stumps and keeping your bike on course. Eight miles of climbing up hills or navigating a single track takes a lot more work than riding leisurely down a paved road.